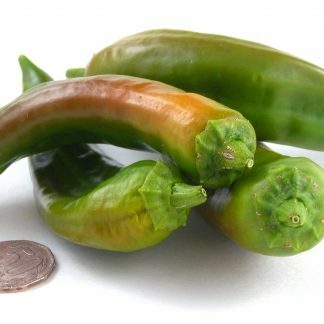 “Lumbre” (Hatch Double-X Hot) is said to be the hottest of the Hatch NuMex type of chiles, even hotter than Barker's Hot. 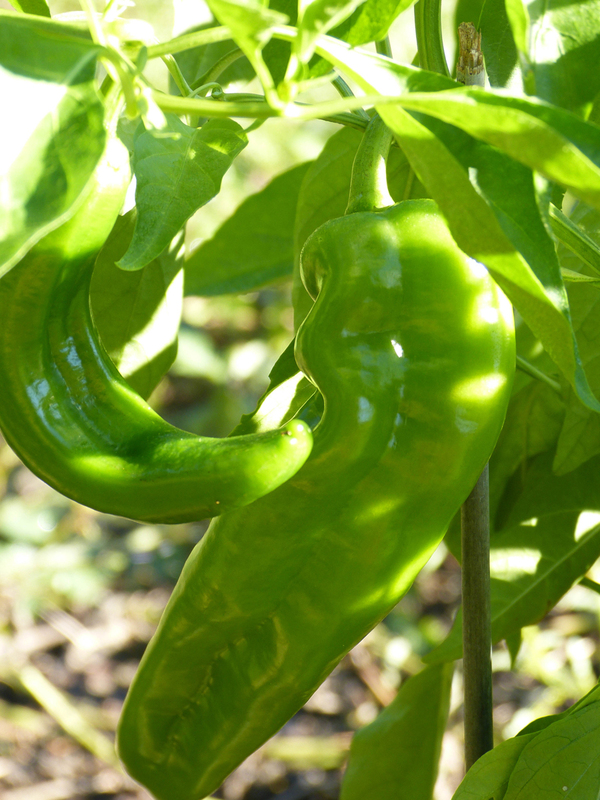 A spicy green chile, 4-7” long, this is a great one for roasting and then adding to chili, tortilla soup, or tamales. 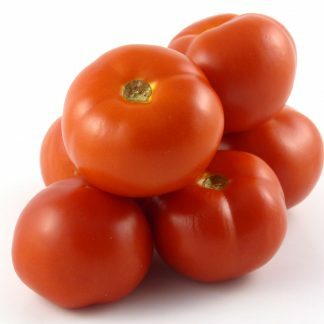 It can, of course, be eaten in the red ripe stage as well. 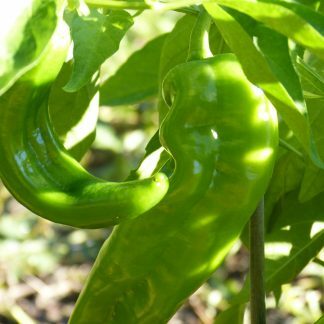 According to my research, Lumbre was developed by the folks at Solar Dry Chile farm in Hatch, New Mexico.